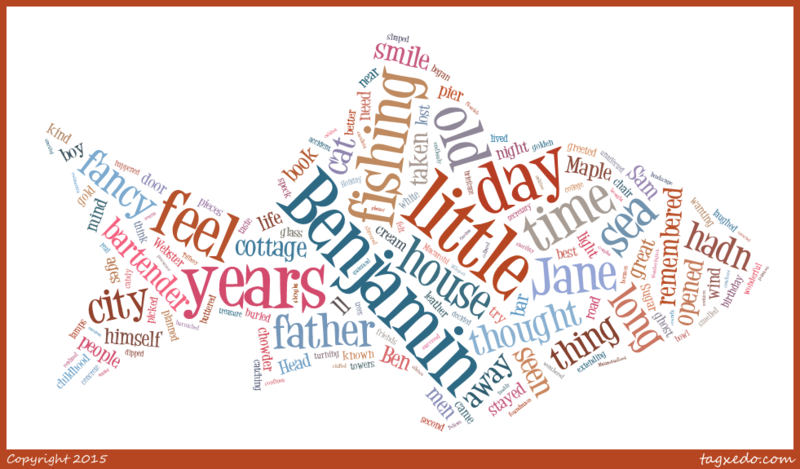 The image of the fish above is for my MC Benjamin, and little Cassie? She’s this! Benjamin Webster had never seen anything as colorful as the little girl who was shouting at him and running up the dune. She was dressed in the most unusual outfit patterned in starfish and seahorses and her paper parasol had been blown back by the wind. The black and white speck he’d been hunting for all morning was nowhere to be found. His pockets were filled with shells he’d picked up that had been churned from the heaving sea and the storm the night before. Scallop shells that had been painted inside like watercolors. The beach was littered with lovely things and there were no footprints except his. Nags Head was closing down for the season, and he had arrived at the beginning of that close. Last night in Pelican’s Lair they had mentioned that, and the summer crowds. The Mermaid Castle looked like something out of a fairy tale. Not only was it the hugest and tallest building in the neighborhood, but it was festooned with carved mermaids on every floor, and there were flags of every possible kind, in every possible color flying off of it. It had turrets, and bay windows, and well, frankly, it was a girl’s place. He’d seen Cassie’s mom unloading the groceries. Who on earth would be wearing heels like that on a crisp Fall morning when Wellies were in order? “Come with me then,” she said. Parasol in hand she led him down the dune toward home. Tina Pinkerton was struggling with the last of her bags when she saw Cassie pulling that handsome new neighbor down the dune. Oh no, she thought. I hope she hasn’t made a bad impression on him. My daughter is the most adorable thing on earth. “Tina Pinkerton,” she said. “Sorry I can’t shake your hand.” She had four shopping bags and was struggling to get the last of them up the steps. Benjamin Webster had never in his whole life seen the likes of the mermaid palace breakfast room. In the first place it was the biggest room he had ever seen. 500 people would have been comfortable in there. But it was the decorations that really caught his eye. It was a room dedicated to the pirates and galleons that had cruised the coast in the earliest years of the colonies. Everywhere he looked was a siren calling to a sailor. The bows of old wooden boats had been copied and adorned the four corners of the walls. Banks of windows for what seemed like miles looked out over the sea. Twenty five bags from Super Tigers were stacked next to each other on the polished gleaming hardwood of the floor. It was something. “Those look fantastic,” was all Benjamin could say. Benjamin had come to the Outer Banks to get small. He actually wanted to have his feet on terra firma instead of the skyscraper life he had lived for years. “My whole cottage would probably fit in the bathroom,” he laughed, taking a doughnut from the plate Cassie slid toward him. Maybe I am the ghost Beth, he thought. Ever since you’ve been gone I have felt like one. Benjamin waved goodbye to the two of them and crunched his way across the gravel toward home. Home was “Dreamers and Seahearts” a cottage so tiny it would fit in a corner of the house he’d just been in. The truth is size never matters when one makes a home, even if temporary. A home is made by the hearts inside it. You’re just perfect for me, he thought. Me and my memories of being ten again and that little black and white speck I found. He poured out a giant saucer of cream and left it on the steps. Maybe the little cat would find it while he was gone. The day was brisk and beautiful and he unloaded his pocket full of shells onto an old Adirondack chair by the front door. Little did he know that Speck had been watching him the whole time. The saucer of cream was a very rare delicacy to the cats left to fend for themselves. Kindness in humans was a rare thing when it happened. Speck could tell that Benjamin was kind. Even from the distance she had been keeping. Maybe you and dad are my ghosts, Beth. Benjamin Webster was in the place of in-between that people feel after losses of those most dear to them. In those places sometimes people feel like they are walking in a dream, as if nothing is real and tangible anymore. He’d been doing that now for fourteen years. Work was what he had thrown himself into, and work had worked for awhile, to take his mind off things. But what Benjamin Webster could not believe was that in the span of just 24 hours he had met all kinds of very kind strangers. He’d already made friends with the neighbors and with the bartender in Pelican’s Lair. It had happened so fast. It was almost like being back in the land of the living again. 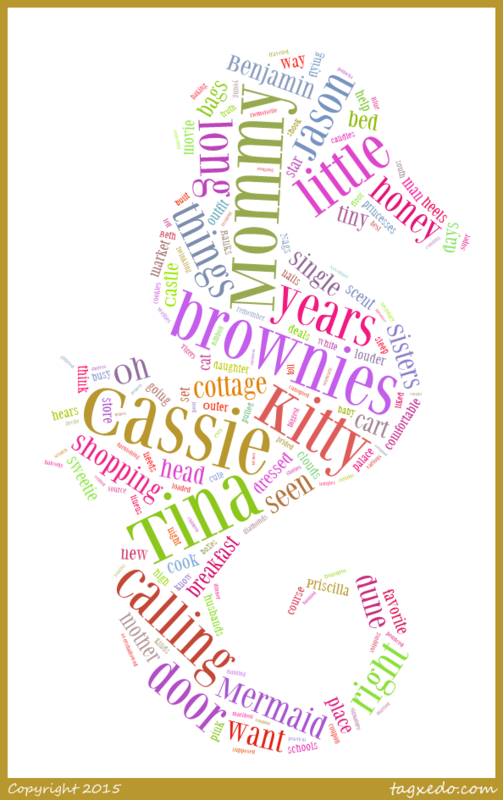 And he wasn’t even counting Cassie, who was the most precocious little girl he had ever met. As Benjamin descended the stairs for the trip to Wanchese, he saw Speck at the saucer contently lapping away. In just 24 hours, not only have I made all these new friends, but it looks like I might have myself a cat too. Life is like that, when people re-enter the world of the living after great, great sadness. All of a sudden all the doors are flung wide open again, and life itself rushes back in.